JACKSON, Miss. 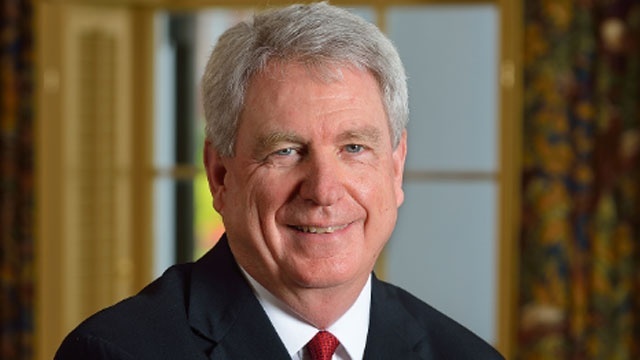 (AP) — A foundation that’s pledged $20 million toward a new science building at the University of Mississippi says it won’t give the money unless the College Board retains Ole Miss Chancellor Dan Jones. Anthony Papa, president of the Gertrude C. Ford Foundation, made the pledge Monday in a telephone interview with The Associated Press. It highlights continuing backlash to the board’s decision to not extend Jones’ contract past September. The board voted 9-2 Friday to look for a new leader for the university. Many members lost faith in Jones during a years-long examination of contracting and management practices at the University of Mississippi Medical Center. Others including former chancellor Robert Khayat and former star quarterback and major donor Archie Manning are also assailing the decision, as faculty members and students plan protests.